Ok, so you don’t actually earn airline rewards points, but PIPs does reward citizens for conscious behaviors that drive social impact related to health, community, and environment. How cool is that? A finalist in the learn and live categories of NYC BigApps, PIPs (Positive Impact Points) is a virtual currency, redeemable for socially beneficial goods and services, and donations to good causes and community projects. Co-founder and CEO Wendy Gordon talks about the new way to play it forward. 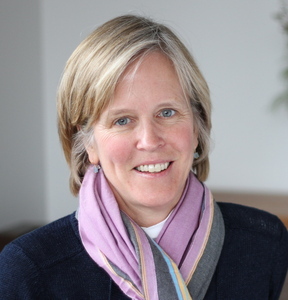 A product of 3P Partners, Inc., a benefit corporation in NY State, ‘Positive Impact Points’ or PIPs, is the ONE social impact currency that delivers 360o of good. PIPs are earned for making verifiable daily life choices that benefit the planet, community and personal health…choices such as switching to renewable energy, purchasing products made of non-toxic, responsibly sourced materials, recycling, volunteering and fuel efficient driving. Completing the virtuous cycle of good, users can redeem their PIPs only for socially beneficial goods and services, including to purchase smart gadgets and responsibly made products, to donate them to a cause or to invest them in a community project near home or around the world. Think of it like a frequent flyer program for good, only rather than doubling one’s miles, PIPs doubles one’s good. Traditional points program have a singular purpose – to drive loyalty and sales for one company or product. As an incentives network, PIPs is the one rewards currency that drives loyalty and sales for multiple partners. PIPs is also unique among social good rewards programs, most of which incentivize just one behavior, such as recycling or donating to a cause. The PIPs platform is designed for multiple action opportunities. Finally, the PIPs platform takes advantage of the ubiquity of smartphones and APIs to verify actions and increase utility. PIPs target market is at the nexus of rewards and the ‘spend shift’ toward positive impact products led by Millennials. Everyone knows the power of rewards; who doesn’t love their frequent flyer miles? Spending on rewards is well in excess of $50 billion annually, as hundreds of millions of Americans participate in one or more rewards programs. There is also no denying the scale of the ‘spend shift’ toward social good products and services. Eighty-four percent of Millennials (representing $1T in buying power) consider corporate social responsibility when deciding what to buy and where to shop. Overall, 54% of Americans brought ‘positive impact products’ in 2012. PIPs dual appeal – smarter rewards for smarter choices – is aimed to take full advantage of these major market trends. Are there any gamification elements in your app and, if so, what are they? In addition to the awarding of PIPs, a classic game technique, the PIPs platform provides numerous gamified actions with which to engage users, including: accrual of badges, answering trivia questions, unlocking bonus PIPs, joining group challenges, crowdfunding a community-based project or favorite charity, and entering contests to win prizes. The PIPs custom dashboard curates all these engagement opportunities for each user, while PIPs social media channels helps to promote them to a broad user base. Rewards are a tried and true marketing strategy for businesses; customer spending is 46% higher among companies offering rewards programs. Factor in increasing loyalty among Millennials to companies that support social issues, and the business case for PIPs becomes very powerful. PIPs will derive much of its revenue from its network of partners, specifically: MARKETPLACE Partners who pay affiliate merchant fees for actions PIPs promotes; PREFERRED PARTNERS who pay for PIPs awarded direct to their customers plus platform fee, and SPONSORS who pay for select actions campaigns (cause marketing, white label, special events, games). Data analytics will generate revenue as the user base grows. This is our very first experience with NYC Big Apps. The SplashThat tool was easy to use. We really enjoyed the block party, and found it very well organized and a great way to present PIPs, meet people and to share ideas. PIPs is a gamified web app in the Learn and Live categories. The PIPs platform is designed for multiple action opportunities across a wide range of daily life choices – from the coffee you drink in the morning to the way you get to work or power your home. PIPs ubiquity in daily life increases the utility of the app to both partners and users, and makes it especially valuable in a city looking to engage its citizens in behavior-based solutions to a range of civic challenges. NYC is a leader among cities working to address environmental, health and livability challenges and looking to engage individuals, neighborhoods and institutions, large and small, in problem-solving. PIPs is an ideal product in this regard, designed to be used as a social good currency for cities interested in recognizing and reinforcing certain beneficial behaviors, such as waste reduction, recycling, converting to clean energy, energy saving, carpooling, bike sharing, avoiding congested parts of town, etc. Recognition by BIGAppsNYC has helped the PIPs team to focus in on the strategic value of our product to our users and our partners. Creating an app that truly “enables good” is no small task, and will depend on our validating our product with real world partners. 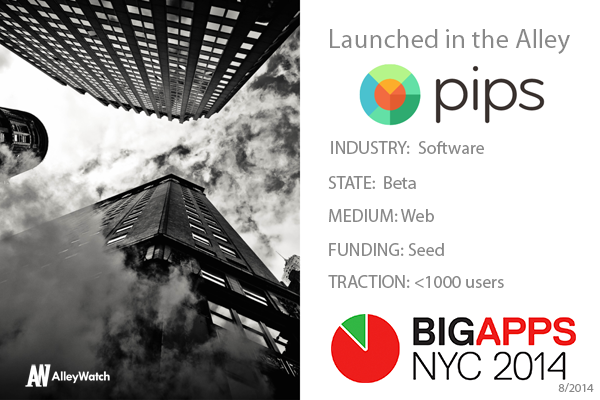 As a finalist in NYC Big Apps, and possibly a winner, PIPs earns a degree of credibility in the eyes of potential partners that could make all the difference as we move forward. Previous What Is Wrong with Buying Followers?